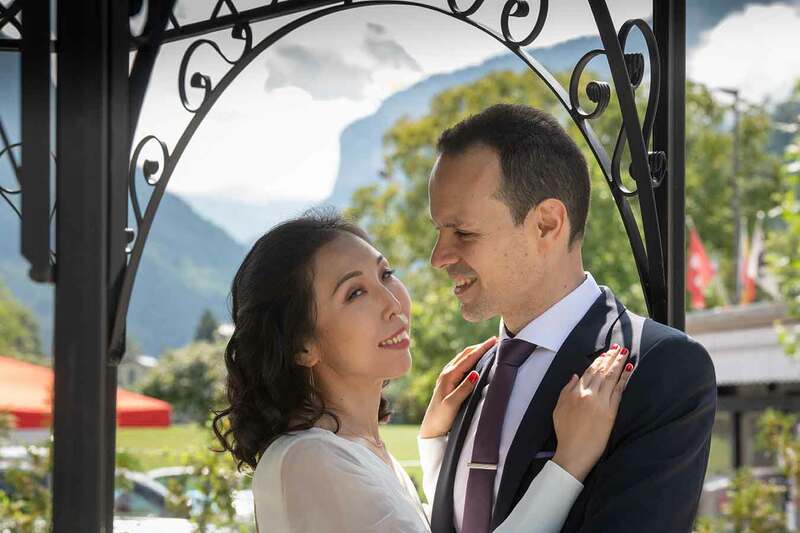 I have photographed a few civil marriage ceremonies in Interlaken. I’m known with all the officials. They know that I’m not a photographer to disturb the ceremony with the clicking of my camera every 5 seconds. It’s a special moment in the couple’s life. It shouldn’t be ruined by the photographer. Incidentally, it is forbidden to take a video during the ceremony. After the ceremony, the couple had booked Brunch at the Victoria Jungfrau Grand Hotel. The group shots were inside the hotel on some stairs. We kept everybody waiting by leaving the hotel for a quick photo shoot. 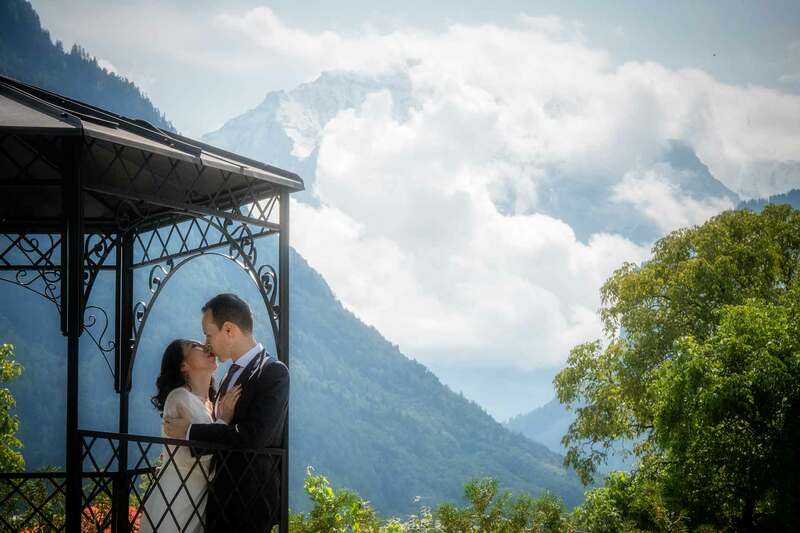 Civil marriage in Interlaken, Switzerland. Afterwards a celebration with family and friends in a nearby five star hotel.